A fleeting opportunity arises to grow your business. If you don’t seize it, it will pass. But you need the cash to act decisively – and just at that moment your own cashflow is stretched. So how are going to fund your next big step? In 2009, Alex and Zofia Torun-Shaw were looking for a creative, niche retail business to begin. It was a good time to get into retail; the financial crisis meant that you could get preferential terms and long leases at low prices. 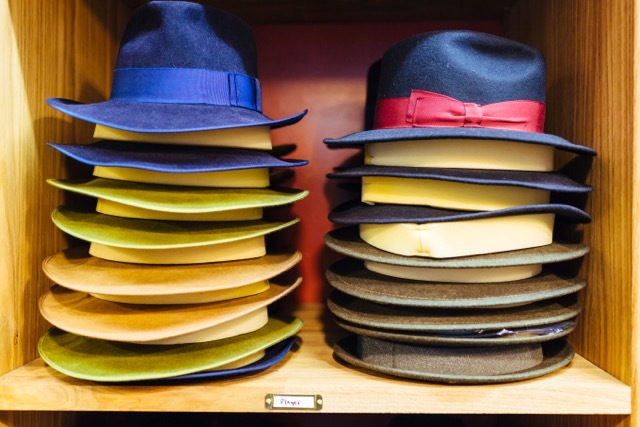 The idea of a hat shop was almost on a whim, but it fitted – so to speak. Just before Christmas 2009, the Torun-Shaws had a small trial outlet in east London’s trendy Columbia Road. It took off immediately, attracting celebrity customers such as Keira Knightley. “By January 2010 we knew we wanted to expand into seven day trading,” says Alex Torun-Shaw. Soon they had found two units, in Covent Garden and the Royal Exchange in the City of London. Initially, the Torun-Shaws funded the venture themselves. Then they arranged a loan in the form of a two-year bond issued to a friend. “We made sure that it was a formal arrangement,” Alex says. A Soho store opened in 2012. In October 2013, an opportunity came up for another store, this time in Cambridge. In order to secure the property and have it open in the run-up to Christmas, the Torun-Shaws needed to move fast but also needed more money. Their friend-and-lender suggested the peer-to-peer (P2P) lending platform, Funding Circle. Two factors persuaded them to explore this new route: the friend-and-lender was actively using the platform and, secondly, Funding Circle had received £20m investment through a government investment programme. Since then, the government-owned but operationally independent British Business Bank has invested a further £40m to support further lending to smaller businesses through Funding Circle. Laird was still a relatively new company; its application to Funding Circle consisted of two sets of year-end accounts plus its management accounts. Within the week, the application had been approved and the loan had been put out to investors. Within eight hours of going live, Laird had raised the funds it required from approximately 200 investors. Its biggest investor put in £2,000, its smallest £20. It’s this speed and convenience that is attractive to many business owners; revealingly, 50 per cent of applications to Funding Circle come outside working hours. With responses to initial application usually within two working days, a refusal is at least a fast “no” and a loan, as Laird discovered, is deliverable within a couple of weeks. One year later, another property opportunity arose – this time it was the premises next door to Laird’s Covent Garden outlet. It would give them greater street frontage in what is a great trading location. They had a four week window in which to secure the deal. Such a chance to expand didn’t come at a convenient time (when does it?) because trading was at a pinch-point, with payments going out to suppliers as the autumn/winter stock came in. “I didn’t even go down the bank route this time,” says Alex Torun-Shaw. He went straight to Funding Circle and within two weeks had the funds in place. The company paid off its initial loan and doubled the size of its Covent Garden presence. It’s not an atypical story. 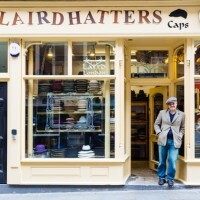 Demand for P2P, or marketplace, lending from small businesses such as Laird continues to grow. Investors in the UK alone are lending £50m per month through Funding Circle. When they had first studied their options, they knew that one of the criteria was to enter a niche retail sector in which the business could grow quickly. “I wanted to be a big fish in a small pond,” says Torun-Shaw. They are certainly on course. Laird is growing at a healthy 30 per cent year on year, as it opens more stores and increases its like-for-like trading in each of its outlets. 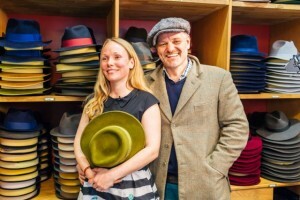 The Hertfordshire-based business makes 95 per cent of all its stock and the majority of its raw materials are sourced from the British Isles: ribbons from Luton, plain cloths and linen from Huddersfield, tweed from Hawick and Donegal. As Laird expands, it is looking to move to larger premises in nearby Buntingford.